Sunreef 72 – Systems assessment and report. Offshore Odysseys – Advised on sections of Round the World expedition. Cogoa – Privilege 585 – Build, Shakedown, Crew, 4 years of management. Mousetrap – VPLP 115 – Build, Crew. Lady Barberetta / Neckerbelle 105 – Refit, owners representatives. Blondie – Privilege 585 – Build, Shakedown, Delivery. Sagaponak – Privilege 585 – Management, Delivery. Hemisphere – VPLP 145 – Build, Crew support. Double Espresso – TAG 60 – Yacht selection, owners representatives. 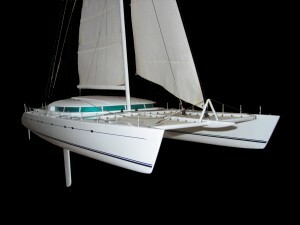 Pelagia – VPLP 105 – Yacht selection. Uhuru – Lagoon 57 – Skippered, Delivery, refit. Ad Astra – Lagoon 57 – Yacht selection. Tonina – Lagoon 500 – Charter preparation. Sabore – Privilege 585 – Skippered, Build, Delivery, Crew, Management. Diversion – Lagoon 55 – Skippered, Refit, Delivery, Sale, Management. Captiva – Privilege 745 – Build spec, Shore support.